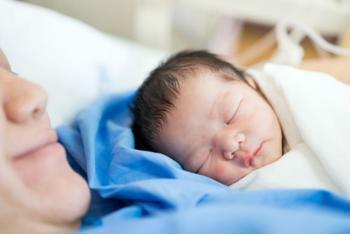 Researchers say a new smartphone app could help C-section patients reduce the length of their hospital stay after delivery. The results of a new study showed that the app helped to reduce the length of a hospital stay after a cesarean section from the average of 3.7 days to 2.7 days. These findings were presented at the American Society of Anesthesiologists (ASA) Practice Management Meeting. Although it’s too soon to tell if patients who used the app had any adverse outcomes, such as surgical site infections or urinary tract infections, study author Dr. Attila Kett says early results are promising. Four weeks prior to their scheduled C-sections, women downloaded the app on their smartphones. The app notified them of upcoming appointments, provided pre-surgery information, and facilitated remote post-surgery health checks such as pain control and wound recovery. The app appeared to be an effective means of improving the quality of care while lowering costs from hospital stays. The first 30 women to use the app left the hospital an average of one day sooner after delivering via C-section. While insurance companies are required by law to pay for 96 hours of hospitalization after C-section, Dr. Kett says it’s safe and preferable to leave the hospital sooner if the mother and baby are healthy. “The app empowers women by putting them in control of their health care needs,” said Dr. Kett, division chief of obstetric anesthesia at Saint Peter’s University Hospital in New Jersey. The costs required to participate in the program (which employed a variety of methods to enhance and fast-track patient recovery) and to develop the app were outweighed by the savings that came as a result of shortened hospital stays after C-section, the researchers noted. The return on investment was 216% in the first year and is estimated to be higher (282%) in years to come. The authors say the study highlights the value of Perioperative Surgical Home (PSH) care programs and physician-led care.